Helping Nazarene clergy understand their faith tradition. Introduction and part of the chapter. View issues of this early Nazarene periodical in your browser. 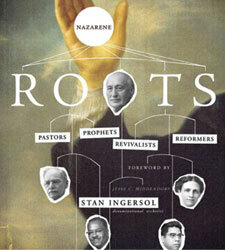 A description of the major periods in Nazarene history. Listen or download these audio presentations that were originally developed by Neil B. Wiseman for the Minister's Tape Club.